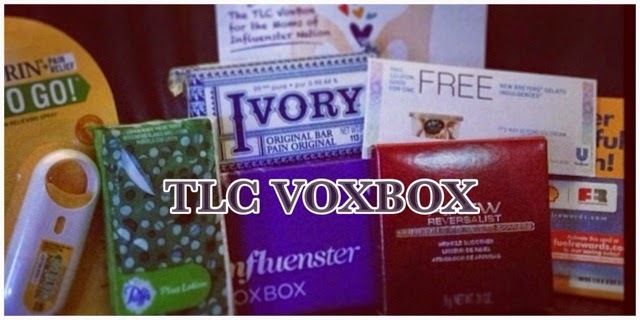 I am so excited today to get to share with you the TLC VoxBox that I received complimentary from Influenster for testing purposes. This VoxBox was for the Moms of Influenster Nation. I am always thankful to received one of these boxes. If you would like to have the chance to receive a VoxBox let me know and I will send you an invite. Inside this box were 6 items: Neosporin Neo To Go, Breyer’s Gelato Indulgences free coupon, Ivory Bar Soap, Avon Anew Reversalist Express Wrinkle Smoother, Puffs to go single pack and a Shell Fuel Rewards Network Card. My most favorite item in the box was the Breyer’s Gelato Indulgences free coupon. From the moment I saw the first date night commercial, I always wanted to try this frozen treat. I tried the Vanilla Caramel. I loved the texture and taste of this dessert. This was not your typical type of ice-cream. I added strawberries to my bowl and it put the frozen treat thru the roof. The Neo To Go is a great addition to any diaper bag or purse, especially if you have a little ones. The fast action spray works great on those scrapes and cuts our little ones get. I really like how the container is made. I am able to place the spray on my key chain, if needed. Having two little ones I am always wiping little noses. So I was excited to received a pack of Puffs to go. I love having a pack a Puffs reachable at anytime. You never know when you are going to need a tissue. Puffs is one tissue that is gentle on all of out little noses. Another item in the VoxBox that I received was a bar of Ivory Soap. I have grown up using Ivory soap. I love how it has no heavy perfumes and no dyes. I have tried other soaps but I always come back to my trusty Ivory soap. One of the products that I received that I had never tried before and never knew they sold was Avon Anew Reversalist Express Wrinkle Smoother. Being in my early 30’s I am now having to think about those fine lines appearing. So that even makes me more excited to try this product. I loved how this cream instantly turned into a powder and blended with the fine lines around my eyes. The last item in my TLC VoxBox was a Shell Fuel Rewards Network Card. This card is a free loyalty program that helps you save on filling up the gas tank. I had no problem on signing up with the program online. However, I did have a problem using my loyalty card at the pump. I had my infant in a car seat and my other little one when I needed gas, so I decided to pull into the Shell station and check out my loyalty card. I swiped my card, went thru the steps on the screen at the pump and then the screen started flashing see clerk inside. I was not getting my little ones out of the car, to run inside and stand inline. I am way to busy to have to do that. So I just swiped my method of payment and pumped the gas. I am still wondering if I got my 3 cent discount. I have checked the website to see my transactions and it shows nothing. Next time I need some gas, I well try the loyalty card one more time. I guess I will have to go without my children being in the car, just incase I have to go in and see the cashier. Overall I love my TLC Vox box. Thank you Influenster for giving me this chance to receive and test these products.